Powered by EI Design Pvt. Ltd.
eBridge is an online platform that allows you to review, collaborate and optimise your eLearning course development process. eBridge is not like any other eLearning review tool. It is an online collaborative platform designed and developed by EI Design to enable the creation of quality eLearning courses. A product from our Innovation team, this eLearning collaborative tool can also be customised to your eLearning development process. The tool can be integrated into eLearning courses developed through multiple authoring tools (like Trivantis Lectora, Articulate Storyline and Adobe CS6 to name a few). It provides an online review link for SMEs/reviewers. They can add feedback directly into the eLearning course. The tool supports multiple authoring tools so you can provide the same interface to your customers across different tools. SMEs can see each other’s comments and self-consolidate the feedback. This is particularly useful when many SMEs are involved in a review process. Open issues can be highlighted at any point of time during the project life cycle. It helps you avoid any misinterpretation by offering a discussion thread option to clarify feedback (between reviewers or with developers). It strengthens the collaboration between the development and review teams. 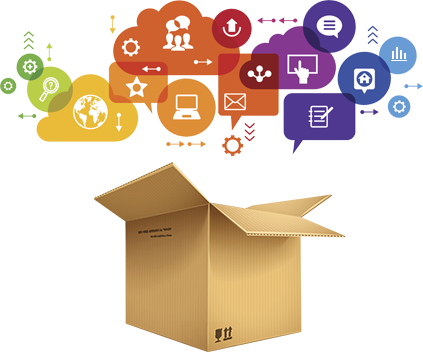 It provides a single platform for direct communication between all stakeholders. It provides the status of edits through Visual Dashboards (open, fixed, closed or pending queries) and facilitates better issue management. It makes the fixing process self-organised as feedback classification is mapped to Instructional Design, Visual Design, Programming and QA teams so that the relevant team can quickly get the feedback, fix and update the status. With this, you can cut down the traditional communication from SMEs/reviewers > Project Managers > Developers > QA > Next release through a single point of feedback consolidation. It provides online and instant communication and minimises the impact of time zone barriers. It provides notifications on clarifications, open and pending issues and you need not do any follow-ups. It brings in optimisation in your team by saving time and increasing productivity. It encourages your team members to communicate using the tool (no detailed communication on eMails required anymore). The tool brings in a structured execution by tracking any clarifications/questions in the early part of the development cycle, minimising the scope significantly for last minute flags and chaos. This helps you establish a clear road map towards making timely deliveries of quality products and helping your team avoid possible risks, gaps, escalations and so on. The tool brings in accountability among developers and reviewers to track and accomplish tasks and implement feedback efficiently. It also enables Project Managers to analyse review effectiveness through phase-wise feedback (Prototype > Alpha > Beta > Final). This will help you derive cues for constant quality improvement. 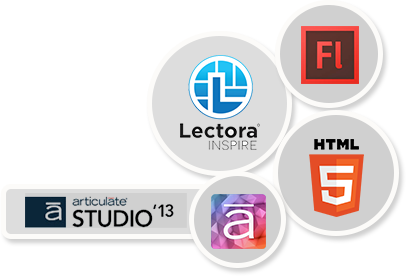 Integrate with any eLearning course irrespective of whether you are using Custom HTML5, Adobe CS6, Storyline, Lectora or Presenter. This will help your SMEs/reviewers log their feedback within the course. This tool comes with a notification feature highlighting the clarifications, pending and critical issues through notifications, so that you never miss addressing them. You can breathe easy with this tool as it helps multiple reviewers to self-consolidate the issues while logging them and avoid duplication of entries. Waste no time and narrow down your focus area with this feature. You can apply custom filters to view issues based on role, type, status and so on. Search for what you’re looking for directly with this option! You can look for issues with a specific title or description to find precisely what you need. The tool is hosted on Cloud. It is secure and is backed by an uptime assurance. Search for what you’re looking for directly with this option! You can look for issues with a specific title or description to source precisely what you need. You can create and track projects as well as track your users. You can also analyse the usage of your user licences. You can use the Kanban board or the visual dashboard to view the production status and have clarity on backlogs, the work in progress and delivery readiness. The tool allows you to have control over who can access what. You can easily assign permissions depending on the accounts and project roles to users. If you ever experience any glitch with the tool, we’re just an eMail away! Drop in your concerns at support@ebridgesolution.com and our technical team will respond in 2-4 hours’ time during the business working hours and provide solutions/fix issues in 1 or 2 days (may also vary depending on the custom solution). The tool is compatible with Win 7 IE10, IE11, Chrome, iPad Safari and Android Chrome. The individual and team performance is reflected on the tool’s production logs and dashboards. The output is there for all to see. This provides clear cues to your team members on how they are performing and helps them self-organise and enhance their performance. The data available on the dashboard facilitates early defect tracking so you can spot issues early in the development cycle and address them as they appear. eBridge has much more to offer unlike other issue tracking software or bug tracking tools for eLearning course development. It helps you give that little nudge to your team members to feel accountable. As your developers and reviewers start using the tool, you’ll see a significant improvement in the way they track and accomplish tasks and implement feedback. The tool helps you execute your projects in a structured way by tracking any clarifications/questions in the early part of the development cycle, minimising the scope significantly for last minute flags and chaos. 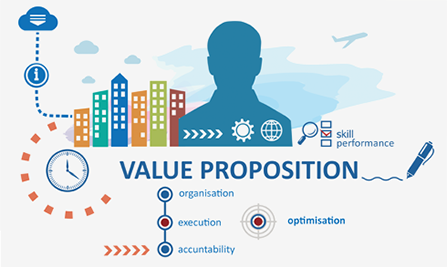 This helps you establish a clear road map towards making timely deliveries of quality products and helping your team avoid possible risks, gaps, escalations and so on. The tool comes with an internal communication facility. With the tool’s inbuilt online chat feature, notifications and provision to log issues online, you can wave goodbye to your traditional communication tools such as eMails, documents for explanations, clarifications, status sheets, feedback logs, query sheets and so on. The tool helps you optimise your workforce, save time and increase productivity. The tool provides you and your team members online access anywhere, anytime so varying time zones is never an issue! eBridge can be integrated with various eLearning formats and platforms. Don’t see what you need here? No problem. Just send us an eMail at support@ebridgesolution.com mentioning details of the SCORM package and the name of the tool that you use to develop your courses. Our technical team will contact you with details of the integration process. The review tool’s integration within courses has helped us track the entire project lifecycle with clarity on feedback and status of issues. The dashboards are very effective and give me a bird’s eye view of the project status. The tool is extremely helpful for visualisation, template mapping, review and fixes. eBridge is a holistic review tool, helping us not just log, monitor and track issues related to courses but also derive accurate data to measure the quantity and productivity of the team members. The tool has brought in a greater level of transparency in our processes. We are also now able to track issues better and obtain reports on various categories easily besides controlling internal and external access. eBridge helps members of the product strategy team, ID team and QA team collaborate better. It also helps us identify the adequacy of screen type variation at the initial stage itself because of the early template mapping exercise. The major accomplishment of eBridge is the replacement of manual reports with automated reports. The graphic representation that it comes with is also a big plus. Great going! eBridge helps calculate FTA effectively and detail out the types of issues. Calculating productivity and resource tracking can also be easily done using this tool. It looks great! I have been using it in my projects and it's really easy to use.